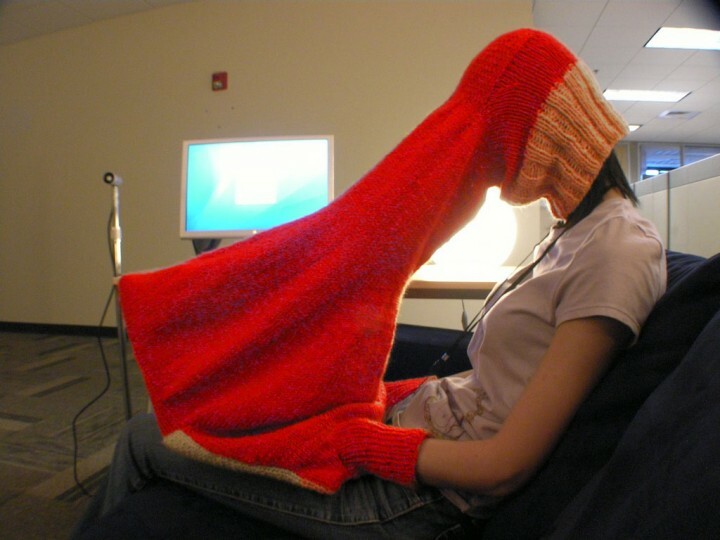 Compubody Sock as used by Edward Snowden | F.A.T. Snowden was said to have been so paranoid about security he lines the doors of his hotel room to prevent eavesdropping and covers his head and laptop with a large red hood to prevent passwords being copied by secret cameras. « Obama is watching you!